The sudden of disappearance of Chinese artist and activist Ai WeiWei last year, rallied the art community to fight for the artist's life against one of the most closed and censored prone government in the globe: China. 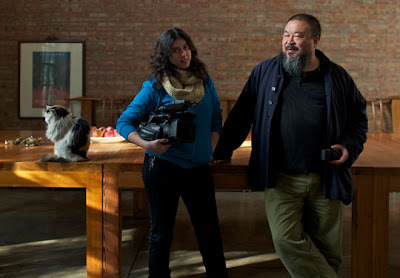 It just so happens, that when the Chinese authority seized the controversial-art-figure—putting him in detention in an undisclosed prison (even to his family), for several months, Alison Klayman an American journalist was already in post-production with a documentary on the contemporary artist called, Ai WeiWei: Never Sorry. Klayman initially took footage of WeiWei telling stories for a short documentary featuring Ai WeiWei: New York Photographs 1983-1993, as part of an exhibition at the Three Shadows Photography Art Centre in Beijing, back in January of 2009 to April. 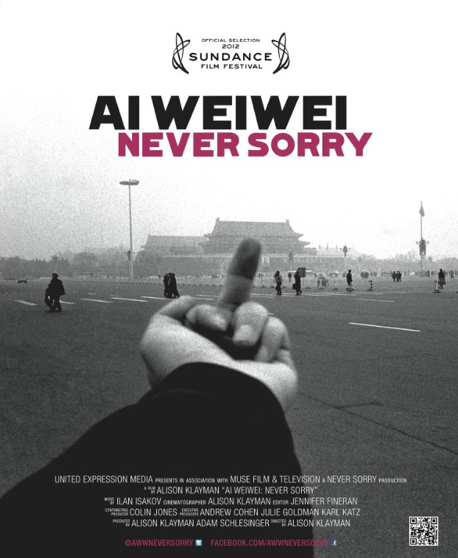 Instead what she ended up with, is a documentary spanning the past three years of Ai WeiWei's life—from 2009-2011—during which, a torrential downpour of disturbing events infiltrated the outspoken Chinese artist's life, due to his relentless activism, questioning the actions and some may say, corruption of the Chinese government. Klayman, the journalist turned documentarian, recently premiered the film at the Sundance Film Festival of 2012 to compete in the U.S. Documentary Film Competition. Her film is expected to be released this year. In the meantime, do have a watch at the trailer above. 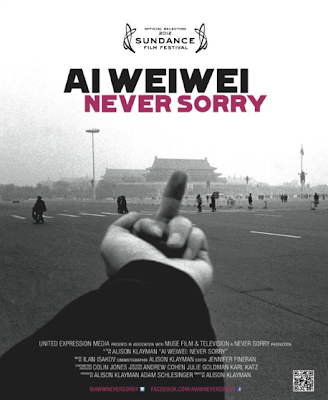 To learn more about the story of Ai WeiWei's an activist's journey in China, as well as the philosophy of his recent critical works go HERE.